Welcome to the first Podcast Spotlight blog post in our series! We’re sharing the stories of podcasters like you to find out what they’re doing, how and why they’re doing it, and even share some challenges they face and how to overcome them. Hope you enjoy the series and if you think there is a podcast that should be included in the spotlight, please let us know at dan@zencastr.com. Our first podcast spotlight kicks off with Life Science Marketing Radio, which is an interview-based show with episodes usually running about 30 minutes. Chris Conner runs the show and he’s done a great job of finding a very specific industry niche and audience for his show. That niche is marketers in, you guessed it, life science organizations. We often hear from Seth Godin and Gary Vee (AKA Gary Vaynerchuk), among many other marketing experts, that when starting a podcast (or a business for that matter), we should find a niche and over-deliver to that audience. 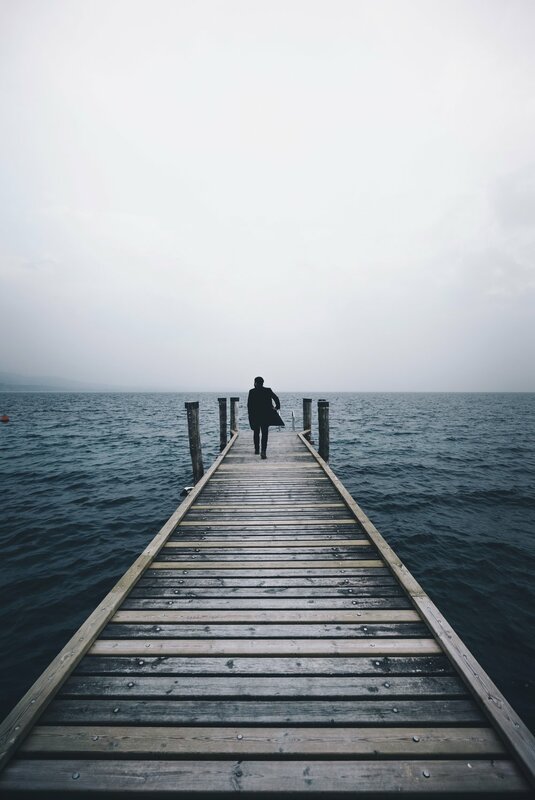 The old expression “don’t boil the ocean” applies to podcasting, because as an independent podcaster, if you try to serve everyone you’ll end up serving nobody because you can’t be everything to everyone, as they say. Chris’ focus is on helping life science companies market their work, humanize their brands and share the best marketing ideas in their industry. In addition to being a place to share life science marketing ideas, his podcast serves as a personal branding and marketing tool so his future clients can get a better sense of who he is and what they can expect when working with him on future projects. As we all know, podcasting is a very intimate medium and allows a relationship to develop with listeners. Chris has found that podcasting has been even better than his blog in helping to grow his brand and client work. When starting a podcast, it’s a good idea to have an ideal listener in mind to help you articulate the content and even how to market your show to the intended audience. Chris’ ideal listeners are Marketing Managers and Directors that work on products or services that serve biotech, pharma and academic researchers in the life sciences. What was the hardest part when starting your podcast? Uncertainty of finding guests on a regular basis. Missing out on automated distribution through iTunes. Chris went from uploading on SoundCloud to moving his whole site to the Rainmaker Platform, which he’s found has made publishing much easier. Chris says, “I promote my blog primarily through sharing on Twitter, in various industry groups on LinkedIn and at some conferences.” Another way he grows his base is by encouraging listeners to refer colleagues to the show. “I make a call to action in each episode to have listeners tell two friends if they like it. My niche is pretty small and the most likely way for someone to find me is if a colleague tells them about the show.” Interesting tactic. Gently encouraging your audience to help spread the word is certainly an interesting way to promote your podcast because it lends the social credibility of the person passing on the referral, and sometimes people might need a nudge to encourage them to share. "My niche is pretty small and the most likely way for someone to find me is if a colleague tells them about the show." What’s the best part of podcasting? When conducting in-person recordings Chris opts for a Sound Devices MixPre-3. For editing, he recently transitioned from Audacity to Adobe Audition. Best tip for other podcasters? Posted on March 2, 2018 by Dan Russo. Later tonight we will be launching a new version of Zencastr with a primary focus on addressing the nasty audio drift issues that some of you have experienced. This update has been a long time coming but it was important that we got this right. I appreciate all of you who patiently provided feedback and bug reports through this frustrating time. I have spent the last several weeks rebuilding the recording pipeline from the ground up. This should not only address the audio drift problem but make the app run more smoothly all around. A side benefit is that we now have a much better foundation to build on moving forward. I'm excited about the possibilities this opens up for the future. Up until now, all code in the Zencastr application ran in the same process. This worked ok most of the time but it was vulnerable to situations where a computer's resources became strained. You could end up with a tug-of-war happening between the code powering the user interface and the code that was recording the audio. If it got bad enough, this would cause the recording code to get behind and miss little slivers of audio here and there. Thus causing the audio to drift noticeably out of sync over the course of a podcast. This was a relatively rare problem up until last September when some updates that shipped in Chrome and Firefox inadvertently exacerbated the issue making it a much more common problem. As painful as this was to deal with, there is a silver lining. These changes were part of a larger transition that is now enabling a much better way of writing audio related code in the browser. Using brand new features available starting in Chrome 64, we can now totally segregate the audio recording code from the rest of the application. This means no more tug-of-war between the recording code and the user interface. Also it gives us extra freedom to add more immersive and interactive elements to the application. The most immediately noticeable change is that each participant's track now spans the page horizontally. And without such tight performance constraints, we are now able to draw and animate audio waveforms live as you record to create a more recording studio like experience. It feels like a much better direction to me but let me know how you find it. A thorough diagnostic health check is run on every participant before the recording begins. If any critical issues are uncovered, a log of the health check will reveal itself with details about the problem and how to resolve it. Below is an example of the health check log showing that a user's mic wan't able to he accessed. Since this is a 'critical' issue, it will need to be resolved before the recording can continue. Underneath each participant's track is an informative footer that shows health check status, selected microphone, available storage space, and real-time stats on the progress of the local and cloud backups. The goal being to alert you of any problems with uploads or backups as soon as they are happening so you can address them on the spot. For instance, If you notice that the local backups aren't progressing, it would be prudent to stop the recording and investigate if the guest may using their browsers Private Browsing mode which can disrupt this process. If you find these extra details distracting, simply click on the tab hanging underneath the footer and it will disappear leaving a simple and minimal UI. Thanks for taking the time to check out our latest features. I think you will find this to be update to be a solid step up in performance, reliability, and usability. Be sure to let me know what you think in the comments. What would you like to see in future releases? Posted on February 27, 2018 by Josh Nielsen. As you well know, podcasts are on the up right now. From fiction, to journalism, to comedy, to everything else, podcasts have become a rediscovered medium in recent years with an ever-growing audience welcoming new shows with open ears. With so much new competition it’s crucial for podcasters to market their podcast effectively. 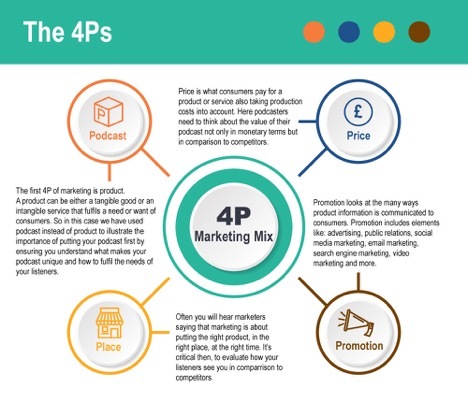 The 4Ps of marketing is a model designed to enhance the components of the marketing mix, which is the way a new product or service is taken to market. It helps to define marketing options in terms of price, product, promotion and place to meet a specific customer need or demand. This traditional marketing method is widely used by marketing companies and branding agencies. Here we look at how it can be applied to podcast marketing. Your podcast is your offering to the world. You will know your podcast inside out and understand what message you want to convey to your listeners, so it’s important to use the same tone of voice in all communications. Take time to define the characteristics of your podcast as if it were a living breathing human being. You can even ask friends, family and listeners to help you with this to get an idea of how others view your podcast. Then reflect this personality in your logo, font, imagery, title, description, in fact every little detail about your podcast needs to be consistent and match up to what your podcast is all about. Whether you’re podcasting for the sheer love of it, or you’re doing it to spread the word about your business, it’s important to understand how valuable your podcast is. Podcasting can add great value to your brand by raising brand awareness, increasing traffic to your website, developing influential relationships and creating new opportunities. Effective promotion will get your podcast ranking higher on iTunes, Google and featuring more prominently on social media. Think about why your target audience would want to subscribe to your podcast. What’s in it for them? Some podcasters have enticed listeners to subscribe with competitions and giveaways. Here, you need to think about how people find new podcasts and increase your online presence. iTunes is the main platform for listening to podcasts. Optimising your podcast for iTunes will help to increase rankings and target the right customers at the right time. If you want to explore the marketing mix further, you can look at the extended 7Ps model. The extra 3Ps are people, process and physical environment. This refers to everyone who is involved in creating your podcast as well as the listeners. Good customer relationship management will ensure listeners keep coming back for more. Email marketing can be an excellent tool to keep in touch with your fans. The systems and processes of the organisation affect the execution of the service. So, you have to make sure that you have a well-tailored process in place to minimize costs. This is the physical evidence of a business’ presence and establishment. A concept of this is branding. For example, when you think of a sports brand, you think of Nike. So for podcasters, the aim is to get your subject matter associated with your podcast. So to achieve your podcast marketing goals, a plan that encompasses all the elements of the marketing mix will help to form a robust marketing strategy. We’re keen to hear your thoughts about what marketing strategies you’ve implemented and where they fall within the marketing mix. Posted on January 31, 2018 by Dan Russo. Between measured breaths from her BiPAP mask, a device that supplies her airways with pressurized air, celebrated disability rights activist Alice Wong introduces her audience to her latest altruistic foray. “With a gazillion podcasts out there, you might wonder: ‘Why this one?’ ‘Why now?’” she asks. “The short answer is that I don't see shows about disability culture and politics from NPR or other major media organizations. There aren’t that many around.” There’s a brief pause before she electrifies her audience with a rallying cry. And so begins the debut episode of “The Disability Visibility Podcast”, a natural extension of the brilliant, necessary, and groundbreaking work Alice performs as the founder and project coordinator of the San Francisco-based Disability Visibility Project. This nebulous, online collective is committed to not only amplifying the voices, concerns, and narratives of the disabled community, but they empower their audience by educating them on relevant policies and practices through their partnership with #CripTheVote. Outside of her previous standing as a member of the National Council on Disability, Alice’s fervent brand of activism has manifested into actively combating the lack of multicultural competency within our broken healthcare system, in addition to dismantling the stigmas affixed to Asian Americans who occupy the disability community. But when asked how she uses her podcast to generate awareness for the issues that pertain to this community, humanity precedes predicament. “I'm focusing on issues that I think are important. And featuring people in conversation on why these issues matter. As well as what needs to be done.” By directing attention to the person, as opposed to their plight, Alice strives to galvanize the support necessary to facilitate wholesale changes in how the disabled community is both perceived and engaged. An example of this is her natural aptitude for storytelling. In “Choreography of Care”, we’re introduced to various caregivers and the intimate relationships they forge with their clientele. But in being a master storyteller, Alice incorporates sound and music in order to intensify the emotional weight of her message. But for all of Alice’s brilliant work throughout the digital diaspora, Vilissa Thompson is another celebrated voice who’s fused technology with activism in order to serve as a catalyst for change. As the CEO and founder of Ramp Your Voice!, Vilissa’s forte is intersectionality. Specifically, how the unique challenges faced by the disabled community intersect with race, gender, and class. Examples of this include her viral #DisabilitySoWhite campaign, in which she passionately assailed “the racism, invisibility, erasure, lack of representation, and othering” of disabled people of color. Or how, in the tumultuous battle to resurrect WGN America’s “Underground” from cancelation, we conveniently omit Harriet Tubman’s status as a disabled person of color. Which, in a medium starved for representation from both the disabled and Black communities, just lost one of its most compelling depictions. When asked what role her podcast plays in generating awareness for the concerns that permeate the disabled community, Vilissa doesn’t shun the influence she wields. With the IAB’s recent announcement that podcast revenue is on track to exceed $220 million, the digital medium is experiencing an emergence unlike any we’ve experienced before. But while the threat of oversaturation will always loom, podcasting has evolved into a refuge for underrepresented voices. Perspectives that, in the absence of technology, would otherwise be drowned out by uniformity and dismissal. Alice Wong’s “The Disability Visibility Podcast” is available on Apple Podcasts, Stitcher, and other available podcast platforms. Vilissa Thompson’s “Wheelin’ & Dealin’” podcast is available on at the provided link. Jay is a Los Angeles-based writer, consultant, and founder of the popular podcast “The Extraordinary Negroes”. Outside of his creative pursuits, Jay uses his multimedia platform to celebrate the accomplishments, opinions, and agency of marginalized groups, in addition to actively combating injustice and the destigmatization of mental illness. Posted on January 9, 2018 by Dan Russo and tagged podcast podcasting purpose. In the process of promoting my podcast She’s In Russia, I’ve discovered a few tricks and tools that are small but non-obvious. And so, I will share them here, as I have not seen them listed in any traditional how-to-promote-your-podcast article. Make sure your podcast fulfills the requirements on this Feature Your Podcast page before you send the email. If there’s another podcaster you want to book on your show, or just want to find their contact details, the solution is simple. Open up their RSS feed -- for example here is our RSS for She’s In Russia -- then command+f and search for “email” and you’re in business. New York public radio developed a really nice open source program for making waveform videos called Audiogram. SpareMin hosts a pretty customizable version of it here. You can pick your own image background, color, text, and waveform look. Just upload the audio. If you’re a developer and want to run the program locally, here is the GitHub repo. As part of promoting our podcast, I’ve written to every person I could find who reviews podcasts, has a newsletter, or just runs a Twitter handle where they promote different shows. I’ve compiled a list of these people and accounts on Twitter, it’s a public list that you can subscribe to here. Indie podcast promotion is definitely a slog, but I do hope these tricks make it a bit easier. If you've come up with other cool tricks, let me know on Twitter. About the author: Smith Freeman is the co-host and producer of She's In Russia, a podcast that aims to lessen the resurgence of Cold War rhetoric by having nuanced and joyful conversations about Russia and Russian people. Smith lives in Brooklyn and her co-host lives in St. Petersburg. Smith Freeman (on the right), with her cohost (left). Posted on December 19, 2017 by Dan Russo and tagged podcast tips. There’s a lot to be said for simplicity. Especially when it comes to podcasting. If you want to get episodes out on a regular basis then, without a doubt, simplicity is key to that. I want to share with you three different setups that offer the simplest, quickest ways to podcast. That means when you sit down to record, you can record immediately. You won’t spend half an hour figuring out the mic settings, or the software setup, or why there’s a weird buzz in your headphones. You can just plug in and play. And that is how we build a loyal audience. By showing up every week and putting our all into the content…NOT the equipment. 1. Who’s on your show? 2. How do you record? Take number 1 first, because... well, it’s number 1, isn’t it? Is it just you on the show? Or do you have a co-host? Do you also have interviewees? The number of people on your show, both hosts and guests, is a factor. Then, number 2. This applies only if you have someone else on the show. How do you record them? Will they be in the same room as you (in-person), or will they be online? Once you've answered those questions, it should be easy to choose the right setup below. If it’s just you, that makes things simple. We just need one mic, and a quick way to record it. For me, this comes down to the piece of kit we always have in our pocket: a smartphone. I could talk to you all day about how great the Zoom H5 recorder is. And it is. But, it’s an extra thing we have to carry around. And a new thing to learn. Instead, your smartphone is easy, familiar and, often, very powerful. The only thing they're not top notch on, is recording quality. For that we need an external microphone, and my favourite smartphone mic is the Rode Smartlav+ (see some comparisons here). This is a lavalier mic (a small tie-clip device that clips onto your shirt) and it plugs into any smartphone. Then, when you fire up your recorder app, it’ll draw audio from the Smartlav rather than your phone microphone. Much better. Finally, how to record? Well, every smartphone that I know of has a dictation or a voice recording app as standard. Use that! Don’t bother with fancy external applications that offer bells and whistles. We’re going for simplicity here. The default iOS and Android ‘voice recorder’ apps work perfectly and make it really easy to share the file to Dropbox or to email it to yourself. The great thing is, the 1 person setup above is easily expanded for 2, especially if they’re in-person. All you need is the Rode SC6 adapter and a second Smartlav+. The SC6 adapter is a great little gadget that lets you plug two microphones into one smartphone. As an added bonus, you can also plug a set of headphones in to monitor the recording. Once that’s set up, you can take a seat across from your co-host or your guest, pin on a mic each, and start chatting. The quality of the conversation is brilliant! The only downside is that you have to sit still, since you're tied together by a few cables. That's fine for a half-hour conversation, but what about some quick on-the-go soundbites? Perhaps you want to move around an event and grab short conversations with other attendees. In that case, you want a handheld USB mic, like the Samson Q2U. Just like the Smartlavs, you’ll be using your smartphone, because it’s simple! You’ll need a USB conversion cable for your phone - whether it’s USB to iPhone or USB to Android - but with one of them in place, you can plug the Samson Q2U right into your phone. Recording is then carried out with the same type of dictation app. Now that we’re online, the options change a little. This is because we need to record a call via the internet. It's still familiar, though: the recording software changes, but the mics stay the same. The most common method, and a really simple one, is to get hold of a good quality USB microphone - like the Samson Q2U I mentioned before - and record a Skype call. If your guest has a Skype account already, this is pretty simple, but you are at the whim of the Skype gods. Call quality can be… ahem… variable. The alternative is a tool like Zencastr, of course. It works perfectly with a USB mic like the Samson Q2U, and it’ll get great quality audio from both sides of the conversation. Plus, it adds a few elements of simplicity to your workflow, like an easy link for your guest to jump onto the call. Of course, if we’re going simple, it’s worth a quick chat around editing. For me, the simplest method is to record a show as if I'm doing it live. I'll act as if I'm going out on Facebook Live right there and then, so there’s no takebacks. Any mistakes I make are just laughed about, corrected and breezed past. This approach means there's no editing afterwards. No post production, as the audio pros call it. It’s a much quicker publishing workflow, since all you need to do is make sure the volumes and the sound quality are polished up. And best of all, Zencastr can do a lot of that for you with it’s post-production tools. Or, if you do need to do a bit of editing - there are a few mistakes or tangents that just can’t stay - then there’s always Audacity. Audacity is a free audio editor that can do just about everything you need. It’s reasonably easy to learn and pretty quick to work with. If you want to make it even simpler, though, then you might want to take a look at Alitu. That's our tool designed to make audio editing and publishing as simple a process as possible. You simply upload your recording - from your phone, from Zencastr, from Facebook live, or elsewhere - and then Alitu helps you with the rest. We have really easy tools to let you clip mistakes, cut out silence and split up clips. Then you can piece together your episode with the builder, bringing in listener clips, adverts, FX, etc, before publishing right to your media host. It can even add your theme music automatically during the export. I’ve talked through some of the simplest setups possible here, so it’s just down to you, now, to get started. Remember, the rule - keep it simple. Don’t be sucked into a fancy equipment setup, thinking that a shiny mic and a digital recorder will somehow gain you listeners. It’s not about the mic or the editing. It’s about you and your message. Save time on setup and spend it on planning, practice and delivery instead. Regular, engaging content beats pristine audio quality every day of the week. About the author: Colin Gray is a podcaster, a speaker and a PhD in education. He and The Podcast Host team create podcasts on everything from mountain biking to space exploration. They teach how it’s done in the Podcast Host Academy and provide the tools to do it with Alitu, the Podcast Maker. Posted on November 27, 2017 by Dan Russo and tagged podcast setup tools. When Apple announced support for podcasts in iTunes, the movement of podcasting was christened and blessed, but it still had a ways to go. Early podcasts were mostly split between two categories: the standard “two dudes talking” podcast and re-uploads of NPR shows. While the most popular podcasts still fall into these categories, it was the podcasts that would follow that would innovate within the medium and let podcasts grow into their own right. The biggest shift, by far, has been the rise of podcasts that justify the need to BE podcasts. You probably think of a handful, but the biggest by far is Serial. It was a show that grew alongside its audience. Both Sarah Koenig and the more than 5 million people who downloaded Serial every week had no real clue where the case of Adnan Sayed would end up and, when Serial did conclude its first season, I imagine she was just as disappointed as we were with the dead ends it left us on. Serial could have never been put to air for several reasons: it’s episode lengths varied wildly, the subject matter was too taboo, and it didn't end cleanly. That last reason is why TV never would have taken it either; networks like conclusions and nicely wrapped packages, Serial had none of those things. It’s spinoff show, S-Town, also told an intriguing story, but also would have never carried enough weight to justify a TV or Radio presence. Serial brought with it an unprecedented awareness of podcasts which can probably be directly linked to the success of the handful of independent podcast networks that would be started in its wake. These networks give support to shows that probably would have been lost to ambiguity in a pre-Serial world: improvisational “Shark Tank” spoofs, people arguing for hours about video games and comics, women talking about the experience of being Black, female, and single in New York, all of these podcasts have found audiences of varying size because of the strength of their networks, while not having to deal with the overwhelming stress that comes with a film or TV deal from a more mainstream media network. Another large presence in podcasts is, oddly enough, YouTube creators. Personally, my favorite shows come from people who found initial success on YouTube, and they bring with them even more people who mostly consume their content online. Depending on the creator, their podcast will exist either alongside or separately from their channel. Some creators, film critics in particular, use their podcasts to discuss further what they said in a 4-10 minute movie review. Others merely use their podcast to talk about things that do not fit in with the “brand” of their channel. My favorite podcast, Hello Internet, is run by two huge education Youtubers: CGP Grey and Brady Haran. They use their show to talk about media, culture, and the world at large. While the podcast is entirely different from the carefully curated content that makes it to their YouTube channels, it is nonetheless entertaining. I expect more YouTubers to enter the podcast space as the promise of more loyal advertisers and a YouTube algorithm that favors longer videos both become stronger influences in their lives, and I’m excited to see what ideas they bring to podcasting. Podcasts are still a growing medium, and everything looks as if it is at a tipping point. Brands and creators are still after the NEXT medium, and podcasts certainly have the potential to be that medium. Podcast listeners engage with advertisers at a much higher rate than any other medium, and they are much more loyal to the shows they follow as well. Brands looking to start projects as podcasts may find relief not having to compete in busy time slots, or higher budgets. Anyone with a half-decent editing skills, a good idea, and a microphone can make a podcast worth listening to. There is, however, one big hurdle for podcasts that I have yet to see a solution for. There is no real way to discover new podcasts related to the ones I listen to. In other words, there isn't yet a “Netflix for podcasts.” To build such an application would require a bot capable of listening to every podcast in the iTunes catalogue, transcribing keywords, and sorting it into the relevant genres. Then, it would need to determine which shows are actually good before recommending it to a user. Such a bot would be expensive to build and run, but it would finally give podcasts the same ease of discovery that Netflix and YouTube have pioneered, and give podcasters the tool they've needed to expand their audience. Samuel Polay is a blogger and podcaster from Atlanta, GA currently living in Austin, Texas. His site, Culture Vacuum, and its accompanying podcast (also called Culture vacuum) focuses on the world of entertainment and movies diving deeper into why some stories matter and why others don’t. He also hosts the improv based podcast Unwatchable with his two best friends from high-school and the interview podcast Camper Berries with his best friend from Summer camp. Posted on November 19, 2017 by Dan Russo and tagged podcast future growth. Are you thinking about starting a podcast? Don’t get me wrong, there are many good reasons to start a podcast. I just want you to be clear going in. I believe the most crucial first step when starting a podcast is to work out WHY you’re doing it. Want to be famous and top the charts? That’s a legitimate goal. And if that is your goal you should go after it: Research your audience, find the right content and format for them, and then promote, promote, promote! But topping the charts is only one of the reasons you might start a podcast, and sometimes a focus on widespread popularity can get in the way of you successfully achieving your purpose. This is why being clear on your purpose is so important, it sets the strategy for everything else you do around your podcast. I talked to some podcasters about why they do what they do and have compiled a list of top reasons below. I hope you find them inspirational and help you clarify your big WHY. To raise the profile of my business, or raise my profile and credibility as an expert. This is a very common purpose and totally legitimate. For this one, the more listeners you have the better you'll do, however, focusing on the ‘right’ audience will be the most important thing. In his book 1,000 True Fans, Kevin Kelly talks about the importance of finding your niche and catering for them at the expense of everyone else. Aim to make a podcast that everyone will love and you’ll deliver a podcast that no-one will love. Having a podcast can be a great way to research a topic and explore other’s experiences, perspectives and wisdom and share that with the world. This is the primary purpose for my podcast, to research technical leader’s journeys, their failures, triumphs, and leadership lessons. I use their insights and quotes as part of leadership training through my business, and I’m writing a book to bring their collected wisdom together. To raise awareness of an issue and progress the conversation (e.g. around a disease, human rights or social issue). This could be your sole purpose for starting a podcast, or a secondary one: To raise awareness and deepen the discussion of a cause you’re passionate about. Perhaps you believe in progressing gender equality issues, or you want to empower young people in a certain field, or certain way. For example, as a secondary goal for my podcast I want to raise awareness around the challenges faced by women in the technology industries and the opportunities and benefits for women and the industry itself by getting more women involved. Sean D’Souza of The Three Month Vacation has a focus on stories, people and community. He started out with commercial goals in mind, but over time what’s kept him going is sharing stories and the community that’s grown around this podcast. He told me “I don’t believe you have to struggle, but I don’t believe you have to be always growing your income and client list too”. To be able to start conversations and relationships with people I wouldn't usually be able to access. Having a podcast can be a great way to get a ‘foot in the door’, make contact and start a conversation with people you wouldn’t usually be able to talk to. Which may sound a little nefarious on face value, but it doesn’t have to be. Especially if this is just one of your reasons for podcasting. Once you’re having the conversation, this is where your other goals and integrity can shine through. Jordan focuses his conversations on helping people improve their lives rather than trivial gossip or grandstanding, and this comes through very clearly in his episodes. Starting a new relationship is then just a pleasant by-product. To build my confidence in public speaking and presenting. This one is self-explanatory, and it works. I can vouch for that personally. It was never my main goal, but as a natural introvert I’m very happy with this as a side-effect. It’s said most people fear public speaking more than death. And podcasting is very public. It can feel quite intimidating speaking into a microphone and getting no audience response back, just more silence to fill, stretching out in front of you. But the more you do it, the easier it gets. And surprisingly, the comfort and confidence you gain speaking in this way rolls over into speaking in front of groups of people. You might just enjoy talking to people and creating content. An easy goal to meet, and it’s not necessary to be top of the charts to do it. However, Ronsley’s podcast is listened to tens of thousands of listeners every week, so the two aren’t mutually exclusive. If you have the right audience and you’re adding value for them, then doing what you love means you bring the dedication and passion to it to keep them coming back for more. Hopefully this article has given you a lot to think about. What’s your big WHY for podcasting? It could be one of these, or something different again. In the end, it doesn’t necessarily matter what your purpose is, as long as you’re clear about it. Podcasting can take effort and commitment. It’s your big WHY that will sustain you through the tough times, and ultimately lets you know what ‘success’ looks like for you. Posted on October 25, 2017 by Dan Russo. Grow your Podcast: Tried & tested tips. There are a lot of posts, influencers and gurus promising you they can grow your podcast and monetize it in no-time. However, those that have been podcasting awhile know that it can be a slow burn and that getting over a couple of hundred listens an episode means that you’re doing better than most! This post isn’t offering to make your podcast an overnight success. It’s not offering to make you millions with a podcast sponsor in a month. (We’ve seen these promises elsewhere!) This post is a collection of the tried and tested methods we’ve used to grow podcasts for little or no budget! The first tip is simple however, it’s surprising how often podcasters don’t think of it...Make sure your podcast is everywhere, on all platforms. Break down all barriers for entry so that you are on every platform that a listener could find you. If you meet someone and tell them about the show, and they say “Oh yes, I have the SoundCloud app, are you on there?”, you should always be able to say yes. It can take a little bit of time to make sure your RSS feed is plugged into every platform, and to upload it to a couple of locations each time, but it is worth it in the long run! Our second tip is a strange one for someone trying to push audio, but it is forced upon us by social media algorithms. It’s a fact. Facebook loves video! Video on social media platforms like Facebook outperforms text and image posts by a very large margin. So how do you leverage video for audio, but on a tight budget? You can cut an audio clip of your podcast, something that really grabs attention, then take your episode or podcast artwork and use an online tool (like ours) to create an animated waveform over the episode artwork. Upload this to Facebook and it’ll perform better than your regular posts. For best results, use the auto-caption feature on FB video to add written captions to your clip. Our third tip is to let your podcast guests help you market your show. After an interview, ask your guest to tweet the podcast to their following. Maybe they’ll even put it out to their mailing list. After all, you probably pushed their latest book or product on the pod, so why wouldn’t they want to get more coverage of that?! 2.) Make it easy for them: Write out some example tweets or even use ‘Click to Tweet’links so that they don’t even have to copy/paste into Twitter. 3.) Don’t be upset if they don’t immediately promote the show. Even if it takes a couple of weeks, it will get a second wave of listeners when they do. One final tool that is very simple but has been becoming more and more successful of late: Instagram! Make a piece of episode-specific artwork and post it on Instagram then go live on Instagram stories to talk about what was in the episode, show your personality as the host, and don’t forget to update that bio link with each episodes URL. IG is an interactive platform that portrays personality brilliantly, so what better way can you get someone to find you and your podcast! This blog post was adapted from Abrupt Audio’s Super Duper Podcast Promo Checklist. 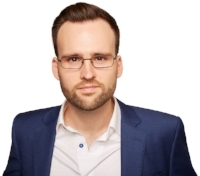 Chris Huskins founded Abrupt Audio to help podcasters grow their audience. Abrupt Audio is based in the UK and can be found at abruptaudio.com. Posted on October 10, 2017 by Dan Russo and tagged tips.